The key to success in growing vegetables in dry, hot temperatures is the consistent application of water. Watering a lot and then allowing the plants to dry too much will stress them. Also, choose varieties that are best suited to your region. Generally, vegetable gardeners that live in hot, dry areas get an earlier start on planting than their more temperate-climate counterparts, with some planting as soon as all danger of frost has passed. Most vegetables in desert gardens are planted in May. One of the most popular crops for the home vegetable gardener, tomatoes are easy to grow. Whether you plant the tiny grape tomatoes or the big, juicy red or yellow beefsteak, tomatoes fresh from the garden can’t be beat. If you live in a region with mild weather you can start the tomato seed indoors and transplant when the weather turns warm and dry. When shopping for seeds or starts, keep in mind that there are two types of tomato plants: determinate and indeterminate. Determinate types are the busy variety, good choices for small gardens. Indeterminates are the vine-type tomatoes that will need a cage or some other support structure. Tomatoes thrive in sunshine and hot temperatures. 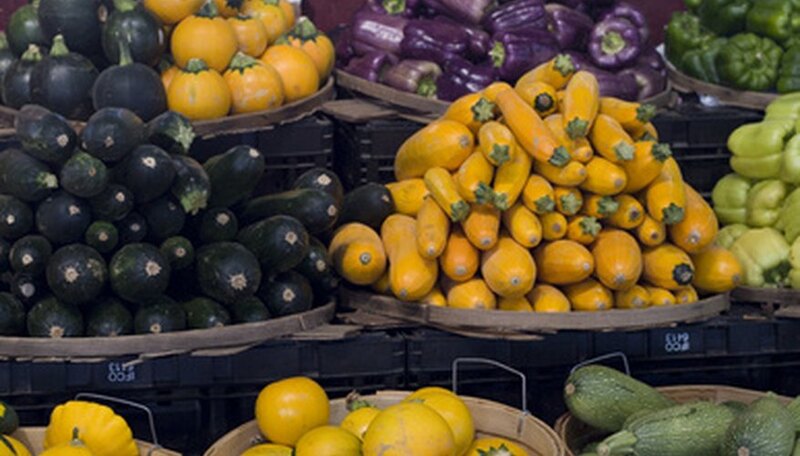 The entire family of squash varieties are warm weather vegetables and zucchini is no exception. Although zucchini is one of the easiest vegetables to grow the key to success with it is to plant it in a soil that retains moisture. Zucchini loves the heat but the roots must be kept moist and cool. Water the zucchini every morning and avoid getting water on the foliage and it will thrive in hot, dry temperatures. Many gardeners will do two plantings, one in spring and one in mid-summer which supply non-stop squash all season long. Try the ‘Embassy’ variety for a dark green zucchini that will grow from 8 to 10 inches in length. Leave enough room to grow cucumbers, as the vines can easily reach 6 feet in length. This is a fast-growing warm season vegetable that requires very little care other than a weekly watering (twice weekly when it is setting fruit) and a side-dressing with nitrogen fertilizer when the plant begins to vine. There are some pests that are particularly attracted to cucumbers. Be on the lookout for the cucumber beetle, a black insect with yellow spots or stripes. This critter will feed on seedlings as well as mature plants and tends to travel in packs. In a short amount of time the cucumber beetle can decimate your crop. The experts at the University of Illinois suggest that you contact the county extension office for advice on current pesticide controls for the cucumber beetle.